GREEN BAY – On July 5, staff from the Wisconsin Humane Society (WHS) responded to a request from Animal Control from the Town of Pittsfield and the Brown County Sheriff’s Department to assist in the removal of nearly 40 animals from a Pittsfield residence after it was condemned by the health department. The conditions inside were deplorable; floors were covered in garbage and feces. The animals had no access to food or water and they were all in obvious need of veterinary care. WHS staff members acted quickly to help remove the animals and get them back to the WHS Green Bay Campus, where they could receive the proper care they so desperately needed. The animals rescued include: 31 dogs, one snake, a cat, bearded dragon, guinea pig, rooster, mouse, and a quail. Unfortunately, another snake was deceased upon arrival. To make room for the new arrivals, other animals were transported to the WHS Door County Campus in Sturgeon Bay and moved into volunteer foster homes. The WHS veterinary team found that the dogs were infested with fleas and were suffering from various infections, malnutrition and other medical issues. Some were limping or missing limbs, and many were trembling with fear. More treatment lies ahead, but with medical care, good nutrition, patience and lots of love, these sweet companions can soon be leading happy, healthier lives. WHS is currently asking for donations to help with the costs of their medical care. Donations can be made at any Wisconsin Humane Society location, or online by clicking here. The Wisconsin Humane Society receives no general government funding and is not a part of any national group. It is an independent non-profit working locally to serve people and animals in the communities they serve, and depends on community support to fund lifesaving services for animals and the people who love them. If you are interested in adopting one of the dogs, WHS advises to keep an eye on their website at www.wihumane.org/greenbay. Although they are still considered “seized” and not able to be adopted immediately, WHS is hopeful that it will soon be able to place the animals in new loving homes. If you believe someone is struggling with animal hoarding, it’s important to reach out for help. It’s a serious mental health problem that can quickly spiral out of control, affecting not only the animals, but the owners, their families and community. Call your local law enforcement, animal welfare organization, health department or mental health agency for supportive resources. The Wisconsin Humane Society (WHS) is the oldest and largest shelter in Wisconsin. It was founded in 1879 and operates shelters in Milwaukee, Ozaukee, Brown, Door and Racine Counties, as well as a spay/neuter clinic in West Allis. The organization offers adoption services, educational programming, veterinary resources for animals from low-income households, retail stores, volunteer programs and dog training classes. The Milwaukee shelter also houses the state’s largest Wildlife Rehabilitation Center. WHS is an independent nonprofit and receives no general government funding and is not part of any national umbrella group. For more information, please call (414) 264-6257 or visit wihumane.org. Dogs in tuxedos and cats in ball gowns! 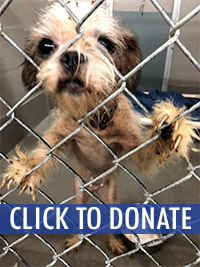 Help us build a new shelter!